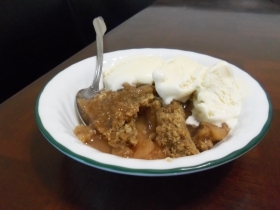 Have you made Cherry Or Peach Cobbler? 1. 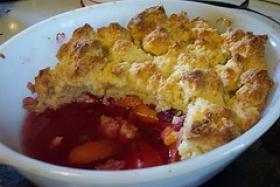 Preheat oven to 450 degrees F Drain cherries or peaches, reserving 1/4 cup juice. 2. Discard the remaining juice. Combine fruit and lemon juice and set aside. 3. In a saucepan, combine sugars, cornstarch, cinnamon and nutmeg; stir in reserved fruit juice. 4. Bring to a boil, stirring frequently about 2 minutes. 5. 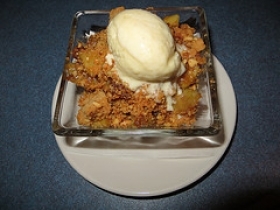 Remove from heat and add fruit and vanilla. 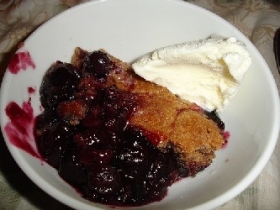 If using cherries, stir in almond extract instead of the vanilla. 6. 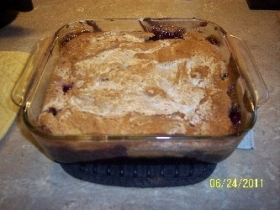 Pour into an ungreased 8 inch square baking pan. 7. 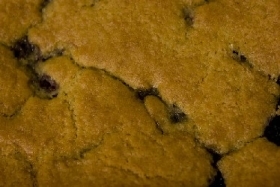 For topping, combine flour, sugar, baking powder and salt; cut in butter until crumbly. 8. Stir in enough milk to moisten. 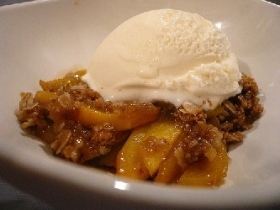 Drop by tablespoonfuls over fruit mixture. 9. Bake at 450 for 10 to 13 minutes or until golden brown. 10. We like doubling the dough recipe. If you do, bake at 400 degrees F for 20 to 25 minutes. This recipe contains potential food allergens and will effect people with Wheat, Lemon, Milk, Tree Nuts, Butter, Gluten, Corn, Almonds, Sulfites, Cherry, Natural Sweeteners, Fructose Malabsorption allergies.